A recent issue of Christian Century had an article by Barbara Wagner Dueholm titled, "War Without End: For My Father, WW2 Was Never Over." The article is a description of how and why this "devilish young man" Barbara's mother knew before the war, completely disappeared. Shot out of the skies twice, held in a POW camp, and operating clandestine activities in Nazi occupied countries, the war changed him. And unlike many of his contemporaries, he gave voice to some of those experiences his daughter now shares. “If you knew the things I’ve done, you wouldn’t have a thing to do with me,” he said to Barbara. 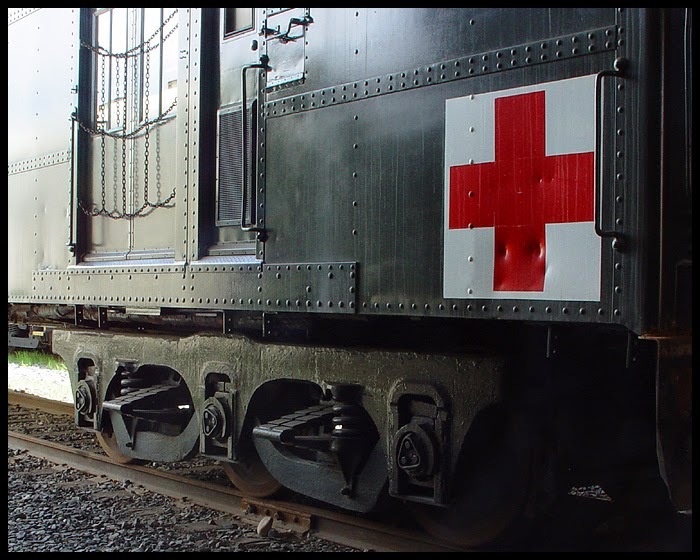 “You would not cross the street to spit on me.” One particularly difficult time was after he blew up a train trestle, and then watched as a Red Cross train was destroyed. He had never been an especially religious man, but Barbara concludes, "in the very last days of his life he seemed to retain just enough faith to fear damnation—yet not enough to imagine himself forgiven." His difficulty was not so much what was done to him, even in a POW camp, but what he had done after he escaped. This article arrived in my mailbox at the same time as another article reminded me we had just concluded 50 years since the start of the Vietnam War and the convulsions it produced in American society. On this May 1st. and 2nd., a group of veterans of that war, peace movement veterans (including a large contingent of Vietnam Vets Against the War), convened in D.C. to make sure the "commemorative events" the Pentagon was planning were historically accurate and not a revisionist agenda. Unfortunately, there was almost no media coverage of the Academic Conference from April 29 to May 1, "The Vietnam War Then and Now: Assessing the Critical lessons;" or of the Public Conference on May 1. Although there might have been as much notice given those conferences as has been given the Defense Department program. Even with $65 million from Congress to create a web site and establish a program for thanking Vietnam Veterans for their service, the public response seems to be silence. Could it be it's a piece of history everyone wishes to forget, including the veterans, if they could? The Pentagon reminds us on their commemoration web site that the total number of American dead in that war was 58,253, and 153,363 wounded. There's no mention of the estimated 3 to 4 million Vietnamese, Laotians and Cambodians killed. Nor is there a recognition that there was this thing called a peace movement in the country, that brought down presidents, uncovered administration lies and propaganda and eventually helped force the government to support the troops by bringing them home. Jon Wiener, in an article in The Nation, says instead of offering "thank you" to Vietnam Veterans, we should say "we're sorry." We're sorry for the lost lives of their friends, the time lost in their lives, the nightmares and sleepless nights, the wounds healed and still festering. We should say "we're sorry" they were asked to fight an unjust war, were lied to, and not properly cared for on returning home. It's still war without end in Vietnam. Fifty years after American troops first went there, the legacy of unexploded munitions and agent orange lives on. Quang Tri province, an area about the size of Delaware, has the record for being the most heavily bombed area in history. More tonnage was dropped there than on Hitler's Germany. About 10% of that tonnage failed to detonate. Since 1975, 3,419 have died and 5,095 have been maimed by unexploded ordnance. And the dioxin from Agent Orange continues to show it's devilish work in the third generation. It's estimated that 20 million gallons of herbicides were sprayed on South Vietnam, exposing as many as 4.8 million Vietnamese to their toxic effects (and these were the hearts and minds we were trying to win). That's not to mention U.S. soldiers exposed to the contents, sometimes cutting the herbicide barrels open to make barbecue pits or poking holes in the drums to make showers. Chuck Searcy is a Vietnam vet. He went back after some 24 years. 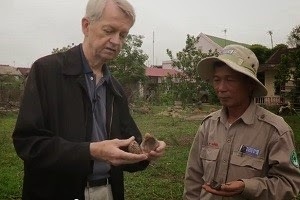 He decided to stay and helped found Project Renew, that by one estimate has located and destroyed 370,000 pieces of ordnance in Quang Tri province alone. Fewer children are losing their limbs and fewer farmers are dying in their fields. 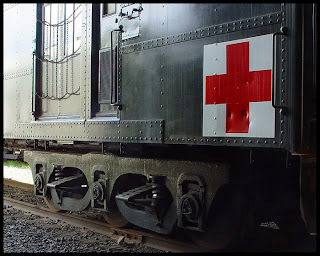 Wars don't end in the hearts and minds and bodies of those who witness or participate in them. But even after fifty years, peace agreements can also last. Promises can be honored. Friendships can be renewed. Justice can be served. Earth, honored and respected, can bloom. Compassion can be born again.